Dassault/Dornier Alpha Jet - PLANESPOTTING.EU. The Dassault/Dornier Alpha Jet is a light attack jet and advanced trainer aircraft co-manufactured by Dornier of Germany and Dassault-Breguet of France. 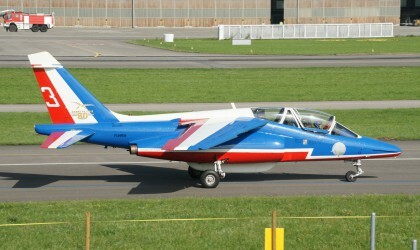 The Patrouille de France, air demonstration team of the French Air Force, fly the Alpha Jet.